Sonja, why did you get involved in a movement to #TakeBackOurCulture ? My work throughout the last 30 years has been ‘traditional’ in nature. Consequently, I have paid the price for being a conservative, which I will leave to your imagination. After so many years in the Art World, actually witnessing the prejudice of the curators towards the conservative artists, and whose preferences always lean toward the Liberal artists, I thought it was time to #TakeBackOurCulture ! My aim is not to put blame, but to bring forth a very realistic notion. Liberals support the art of liberal artists by acquiring their work and by attending artist receptions; conservatives rarely do. It’s that simple. I ask friends and acquaintances, “Why are you not supporting your local artists”? The answers astound me. In summary conservatives do not connect the art world with our culture when, in reality, our pop culture is at times a reflection of society and what brings everyone together. But, I also see many instances where we have made headway; like in the movies. There are now more faith-based movies than ever before and they are being well received. The mindset of the conservative has to change in order that we ‘Take Back our Culture’. Only then can we attain some satisfaction that our culture is in fact a true blend of our society. 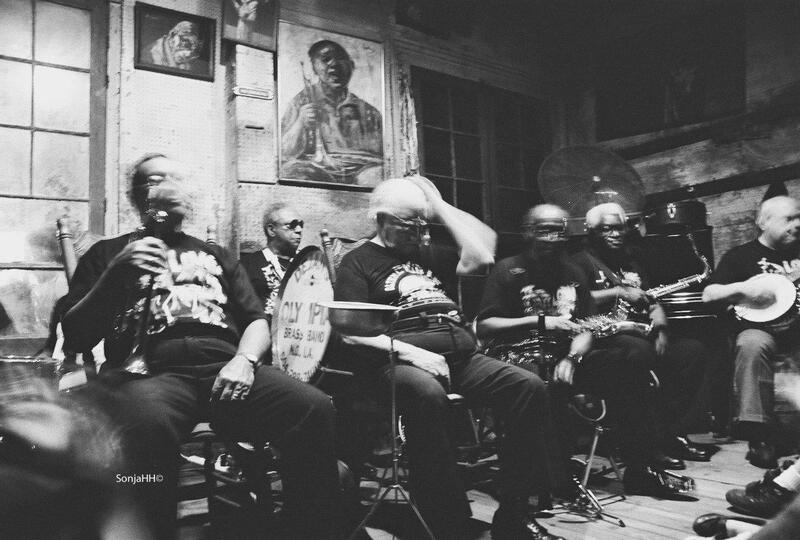 My images for the Art in Embassy project, ‘The Jazz Musicians of Preservation Hall’ series (images of both black and white musicians immersed in creating jazz), was a perfect example of showing the world that America is a diverse people and that there is a place for everyone. Several photographs of my ‘New Orleans Jazz Musicians’ series were displayed at the US Embassy in Lome Africa, through an invitation of the United States Department of State, Art in Embassies Program. Other portraits adorn the walls of the San Antonio Conservation Society, The Bexar County Courthouse, St Mary’s University School of Law in San Antonio, Texas and the Bulverde/Spring Branch Library and Bulverde City Hall in Bulverde, Texas. I am a graduate of Southwest Texas State University (now Texas State). I live on a ranch in the Texas Hill Country with my husband, four dogs, a black cat and hundreds of different wildlife and flora. My interests include antiquing, collecting vintage photographs and promoting conservative causes. My website is Conservatives in Action. I am also one of the top writers for Texas GOP Vote. I have discovered that my photographic journey has taken me to do some soul searching. In the last 10 years I find that I no longer try to ‘please’ anyone with my images but try to portray the world around me as it truly is. The way I believe God intended it. That is, photographing people enjoying or not enjoying a particular event or even being present and not engaging. These instances have become common place in today’s society. Present but not there. Just recently I have turned my camera lens to God’s creatures giving me a new perspective of the cycle of life and the miracles of wildlife. Waiting for that perfect instant to click the shutter reminds me that God has given us dominance over the animal kingdom. But in so doing He has given us the great responsibility of being good stewards. I have photographed the winding Guadalupe River before the severe drought occurred in the Texas Hill County and I have captured some images of the consequences of the lack of rain water. The Texas Hill Country is fading at a more rapid pace than anyone ever imagined and so is the wildlife. I will make it my mission to capture as much wildlife with my camera lens before they become totally extinct. After all someone has to capture the existence of wildlife to show our grandchildren and their children nature’s marvels.